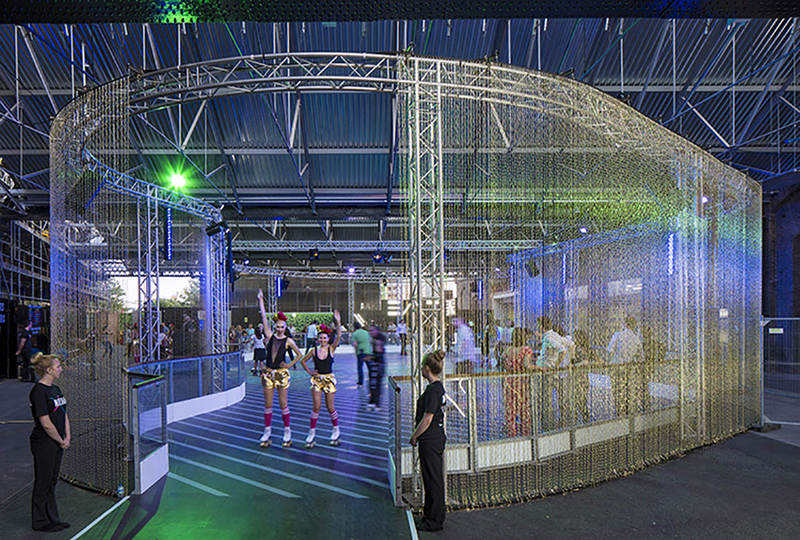 Pop-Up Roller Skating Rink for Argent at King’s Cross. 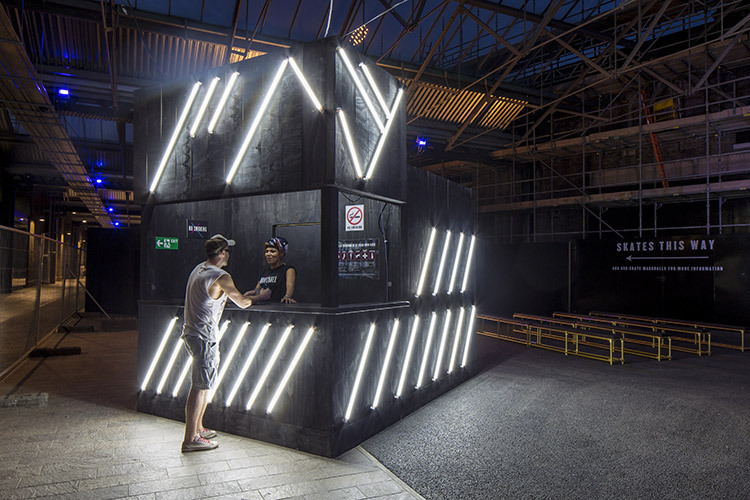 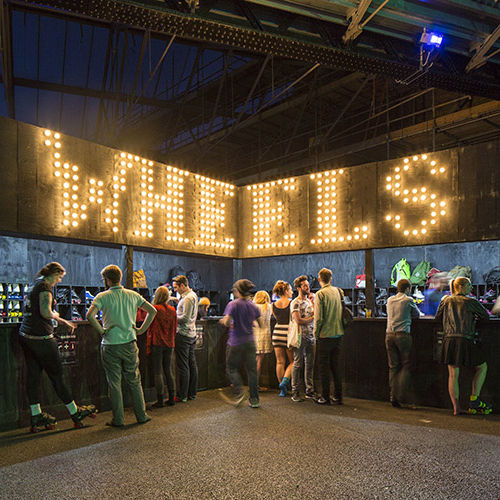 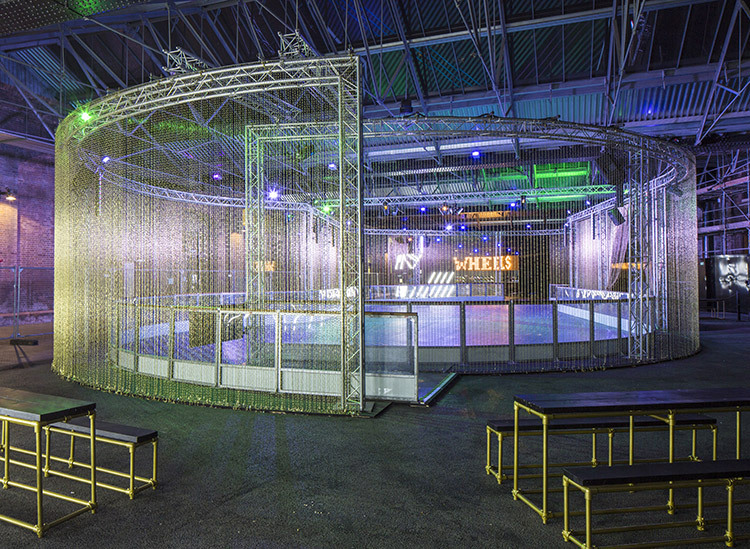 The rink provided a temporary cultural, event and social space for an eight week period over the summer combining roller skating, top name DJs and fantastic food and drink, provided by the latest of London’s street food heroes. 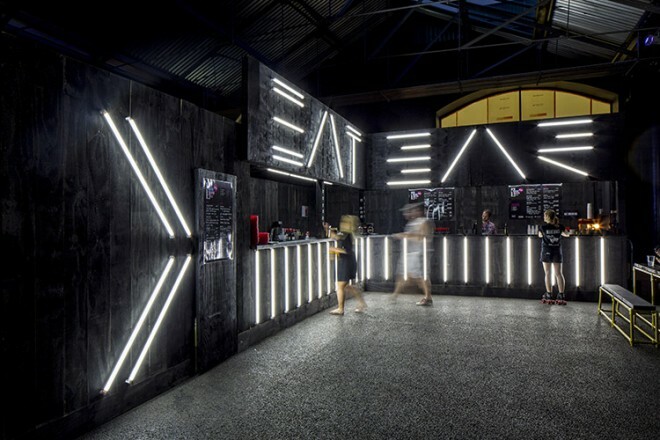 Using raw, heavy materials and industrial lighting we wanted to give a nod to the heritage of the area. 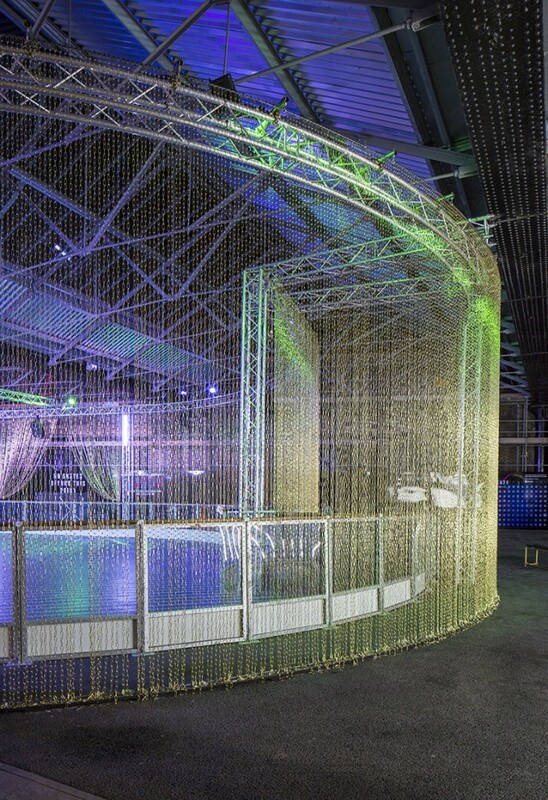 The gold chainmail curtains echo back to when King’s Cross was clubbing haven. 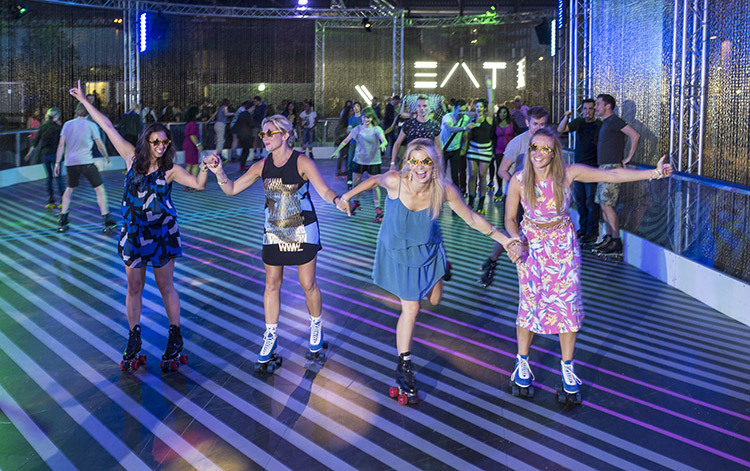 Skate King’s Cross generated over £200,000 in PR Value for our client Argent with a total reach of over 330m people.